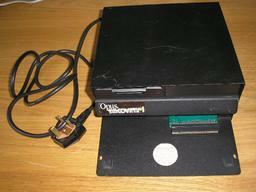 Blurb A true disk drive system for your Spectrum. 250K floppy drive and interface. Video output port. Joystick port. Through port. Parallel printer port. Notes The ROM image is available at Phil Kendall's The Spectrum ROMs Collection.